2005 is proving to be WRRG's most productive year yet! We are proud to announce that all of our full-time Realtors® have achieved a sales volume in excess of $1 million in the past fiscal year! Karen Carusone, Steve Holowach, Susan Penwell, Marilyn Shovlin & John Simeone are all to be commended for their impressive achievements. Our agents have completed over 200 sales in the first half of 2005, a 60% increase since 2004, and over double the amount of sales during the same time period in 2003! Our branch office has been extremely successful and recently moved to their new home in Fairview Park. Branch office manager & Realtor® Michael Russo handles the day-to-day operations and has experienced a definite surge in business since our Grand Opening last year. Company President, Broker & Realtor® John Simeone also reactivated his real estate license in Florida. He has a thriving base office in Naples, Florida - great for Ohio clients looking to relocate or buy a winter home! WRRG's two new developments, The Orchard of Howland & The Lakes at Sharrott Hill, are both up & running with early bird pricing available for a limited time. The Orchard has sold its first unit, with more contracted to be built by the end of 2005. 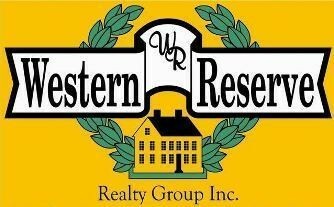 The model is currently available for private showings & can be seen in our ads on channels WFMJ & WBCB. More information can be obtained through the [Developments] link on our Menu or by calling Karen Carusone at 330.501.3703. The Lakes has also sold its first lots, with several homes & villas already contracted to be built. Six local builders have been approved for this project, all members of the HBA. For more information, go to the [Developments] link on our Menu or call John Simeone at 330.565.2810. John Simeone, whose daughter Andrea was married on August 8th. Shawnee Donald, who will be married this fall. Susan Penwell, who was just awarded her fourth consecutive OAR President's Sales Club award.